Almost all the mass of an atom is concentrated in its nucleus in the form of protons and neutrons. Some nuclei are intrinsically unstable, existing for only a short time before decaying into stable nuclei. Understanding why some nuclei are stable and others are not could help to explain the presence of matter in the Universe. Hiroshi Watanabe at the RIKEN Nishina Center for Accelerator-Based Science and an international team of scientists have now shown experimentally that nuclei with many neutrons can be more stable than might be expected, but only if the number of neutrons is just right. The number of protons in an atom is fixed for each element, but the number of neutrons can vary. Palladium nuclei have 46 protons, and in naturally occurring palladium nuclei on Earth, the number of neutrons can vary between 56 and 64, resulting in a series of 'isotopes' of palladium. 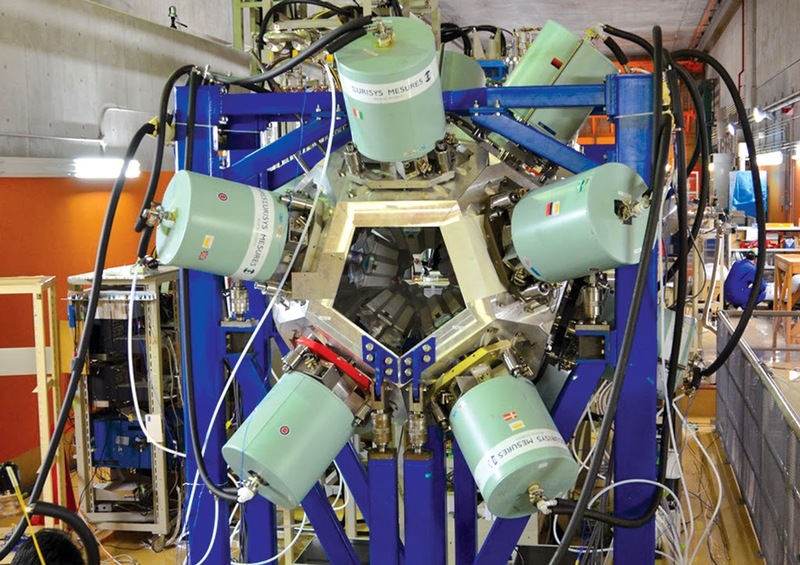 In the lab, scientists can create short-lived nuclei with many more neutrons, known as 'heavy' isotopes. Using the Radioactive Isotope Beam Factory (RIBF), Watanabe and his colleagues created palladium nuclei with 80 and 82 neutrons labeled palladium-126 (46 protons plus 80 neutrons) and palladium-128, respectively. "Only palladium isotopes with up to 74 neutrons have been studied to date," explains Watanabe. "Our experiment reached 82 thanks to high-intensity uranium beams and a highly efficient gamma-ray detection system."